Have you ever had a day that made you question your worth? Or maybe you're walking through a season that feels like that. It might sound like nothing special...ordinary...won't amount to anything...not good enough...not thin enough...not pretty enough, on and on. It seems so many of us women struggle with feelings of worthlessness. 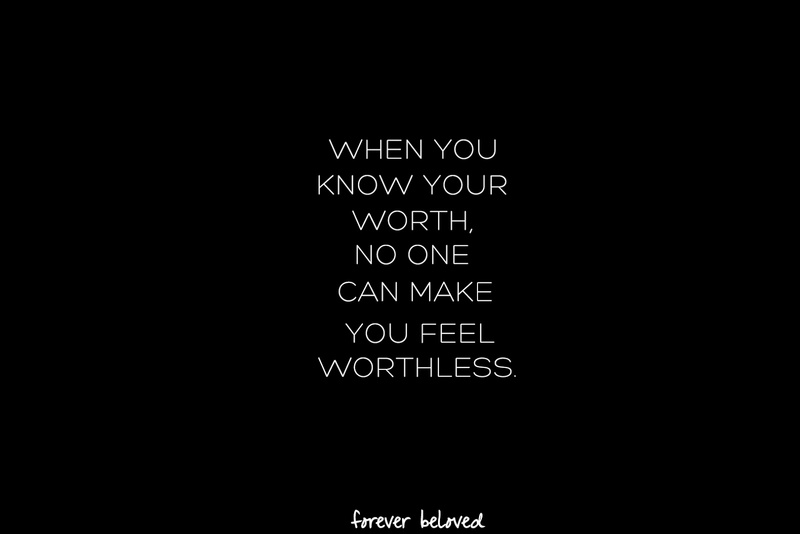 Why do we, as women, struggle so much with feeling worthless? Many times, we let the wrong factors define our worth. We allow failed relationships, body image, abuse, choices and health to define us. We allow feelings of being useless, ignored, ugly, overweight, unloved or forgotten. Sadly, we repeatedly allow these factors to define us. We allow our feelings to dictate our identity. How do we change how we see ourselves? How can we redefine ourselves? How do we master confidence? And do it all with grace? We need to get our worth as women through Christ. Not through our feelings, not through others opinions of us, not through situations and not through emotions. But through the hands that shaped us. But the Lord said to Samuel, “Do not consider his appearance or his height, for I have rejected him. The Lord does not look at the things people look at. People look at the outward appearance, but the Lord looks at the heart." Today I want to speak directly to your heart. Believe it, sweet girls. Pretty please with cream and sugar on top. Accept that what Jesus says about you is genuine–that you a treasure, of great worth, a woman with infinite value. No matter what anyone says. No matter what you've done. No matter your past. No matter how you feel.